Disability Rights Nebraska's Public Policy Team is prepared to work hard to protect the rights of people with disabilities during the 1st Session of the 106th Legislature. In 2019, we plan to continue our public policy advocacy by providing analyses and testimony on issues that affect the disability community. We respond to “High Priority” bills with testimony, personal contacts and education, and “Medium Priority” bills with letters, often in conjunction with other disability rights partners. 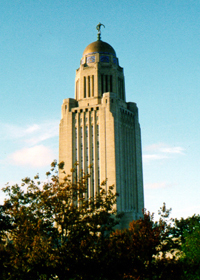 Additionally, we help inform the public about the legislative process in Nebraska and upcoming legislation that may affect people with disabilities. View a complete list of our legislative priorities to learn more about the bills that we are interested in this legislative session. Learn more about Nebraska's legislative process or recap last year's session by visiting our 2018 Legislative Updates page. 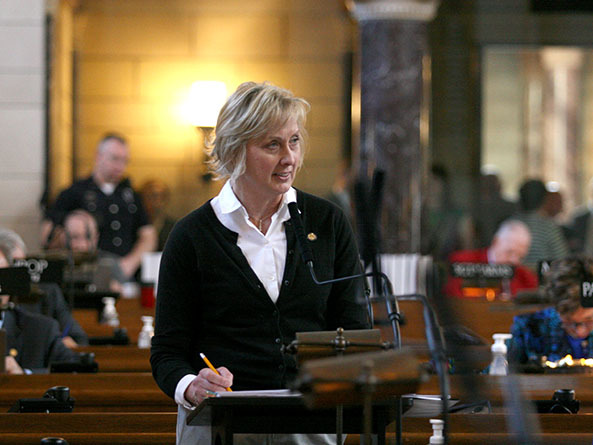 On April 15th, the Nebraska Legislature advanced LB 323, a bill that would make changes to a program meant to help individuals with disabilities maintain employment while retaining Medicaid coverage. Disability Rights Nebraska supports this bill. On April 8, LB570 passed General File to Enrollment and Review. The legislative bill would require creation of a statewide plan to provide disability services in Nebraska. Disability Rights Nebraska testified in support of LB570. LB 15 made it through first-round approval in Nebraska's Legislature. The bill, proposed by Sen. Carol Blood, would require most health care plans to cover expenses associated with hearing aids for Nebraskan children Disability Rights Nebraska public policy intern, Olivia Versaw, testified in support of this bill. Our legislative calendar marks the dates of hearings for bills that Disability Rights Nebraska is interested in this session, from those that we provide testimony or letters on to those that we simply are monitoring. For more information about the bills or their hearings, please see our legislative agenda or visit the Nebraska Legislature's website.